TELL CITY -- A Tell City 5th grader will be getting plenty of eyes on her drawing. 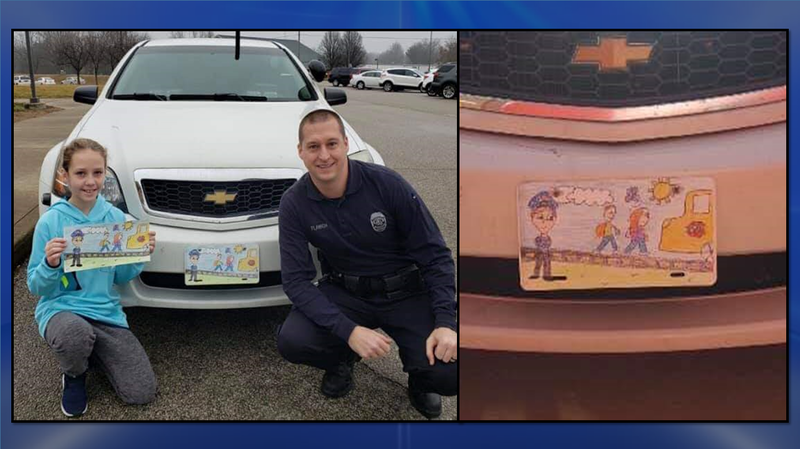 School Resource Officer Phillip Flamion selected Chloe Rudolph's work of art to be displayed on his patrol vehicle this month. The drawing is now proudly displayed on his front license plate. The student's picture was chosen over hundreds of submissions. SRO Flamion was assigned to the Tell City - Troy School Corporation last year following the school shooting in Noblesville.